Welcome to the website of novelist Jane LeCompte. 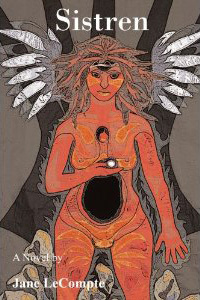 Her writing focuses on women negotiating the pitfalls of culture and on how ancient mythic patterns manifest in our lives. In addition under the pen name Jane Ashford, she has written more than twenty romances. Jane has also taught literature and writing, and headed a corporate communications department. "Compassionately written story of spiritual rebirth." One reviewer says, "Buy this book. Give yourself an uninterrupted evening to read it." Also published in Italy, Germany and France; optioned by Hearst Entertainment. "A sublimely written and deeply satisfying first novel." "In the tradition of Virginia Woolf, Katharine Anne Porter and, more recently, Alice Walker, Jane LeCompte presents an intimate tale of one woman's self-discovery"
"[Jane LeCompte's] taut phrases are elaborated with the patience and brightness of a goldsmith." 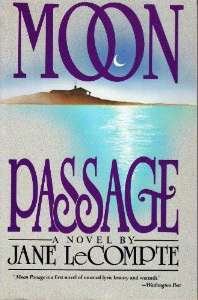 "Moon Passage is a first novel of unusual lyric beauty and warmth."